Avid sport fishermen love trying their luck along the Florida Keys fishing humps. It is a special area for sea life, where so many elements of the saltwater fishing world come together. This marine ecosystem is rich, complex and wonderful. These natural resources can be extremely productive for a wide variety of game fish. Find below the GPS coordinates for these famous angling locations. Use these numbers and waypoints as starting points for your day on the water. Explore around these coordinate marks and record what you find on your navigation plotter. What Makes these Florida Keys Fishing Spots Special? The humps are really a series of seamounts. A seamount is basically a mountain ridge rising up from the extreme depths. This type of geologic structure creates rich fishing zones throughout the entire water column. Well, depending upon how deep you want to drop your baits. However, most fishermen focus on the upper water column depths right on top, the highest points, (shallowest points) on the hump. The seamounts create and provide natural habitat for many different types of fish and marine species. It creates its own ecosystem that is very rich in sea life. In short, get out there and experience this great sportfishing for yourself. Best Ways to Fish the Humps? Smaller than the other natural spots, but can still be very productive. Especially if you can garner that bottom without too many other boats. Ambush II Amberjack from Joey M on Vimeo. We had a great day chasing amberjack, aka reef donkeys, on the Islamorada hump on Mike Wyand’s 31′ Oceanmaster, the Ambush II. We caught many AJ’s til our arms couldn’t take it anymore, then we went inshore to fish the patch reefs where we found yellowtail, lane, mangrove, and mutton snappers and other various reef fish. Also managed to find the yellow jacks, and lost a few mystery giants. The world famous Islamorada Hump fishing grounds distance from shore is approximately 14 to 15 miles offshore. These guys were fishing approximately 13.5 miles offshore from Islamorada Key. 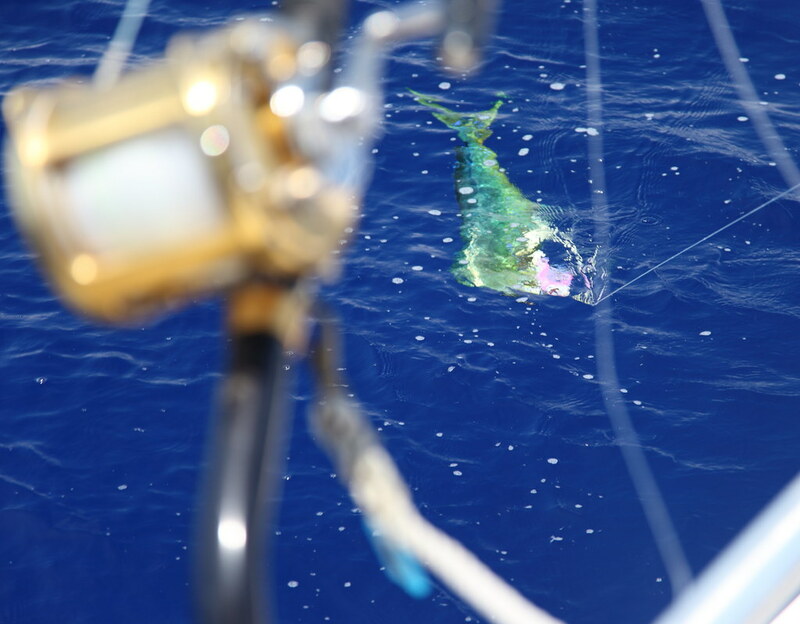 Watch the cool video as they catch quite a few gorgeous looking dolphin (Mahi-Mahi), along with a blackfin tuna. You can tell these fishermen had a great time on the water that day. Some fishermen may still refer to this spot as the West Hump. It is located approximately SE of Marathon Key. Situated near the midpoint of the Gulf Stream produces an endless stream of strong currents. This deep blue water fishing area is teaming with marine life and explosive game fish. The fishing off of the Florida Keys can be amazing. East Hump MPA information: Do not fish in, or boat through this particular protected area until you know the rules and regulations. So, if you get a chance to fish any of these seamounts, Florida Keys fishing humps, take the day off and go. The distance from shore is convenient and workable for good seaworthy boats. Use these waypoint coordinate numbers as a starting point and work your boat around them. Watch for floating structure, seabirds and live bait as signs for the gamefish below the surface. It should be a great sportfishing trip.